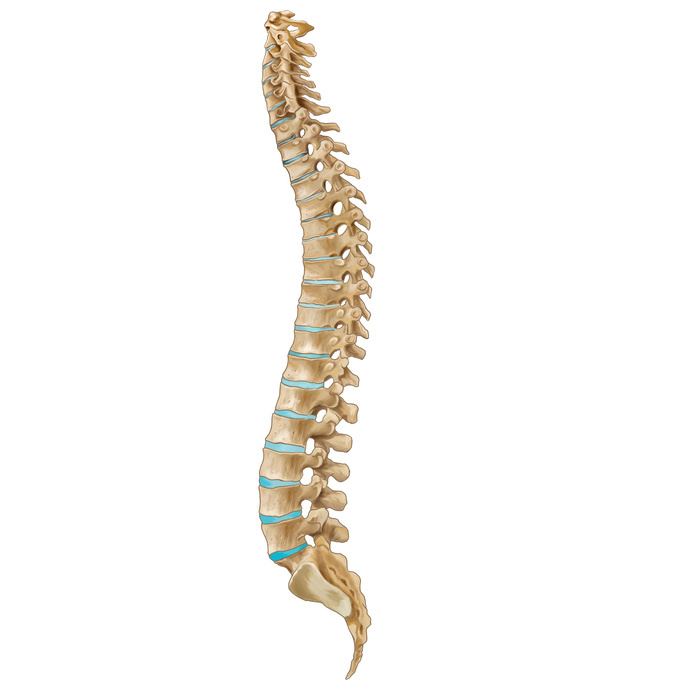 There are 23 intervertebral discs in the human spine. These discs are somewhat soft and spongy, acting as shock absorbers between each articulating vertebra. When the muscles of the spine are in habitual contraction they will compress the entire length of the spine, squashing the vertebral discs slightly. If this contraction of the spinal muscles brings each vertebra closer together by just 1/23 of an inch, you lose a full inch of your true height. 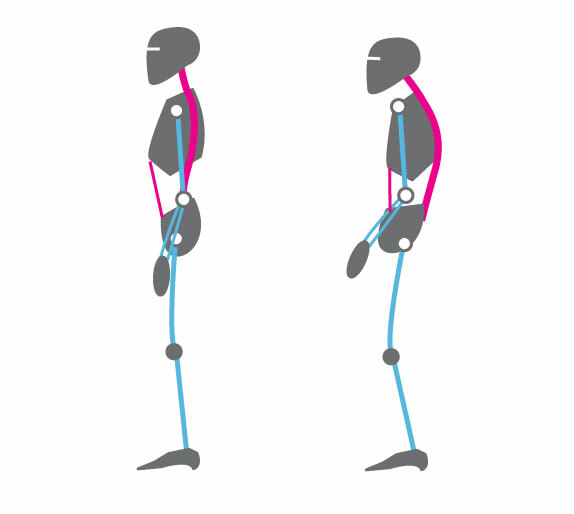 This contraction of the spinal muscles will also exaggerate the curves of the spine, again reducing your height. By relaxing and releasing all the muscles of the spinal column we can gain back that inch while also allowing more space between the vertebra, decompressing the spinal discs and giving freer more comfortable movement in the whole body. 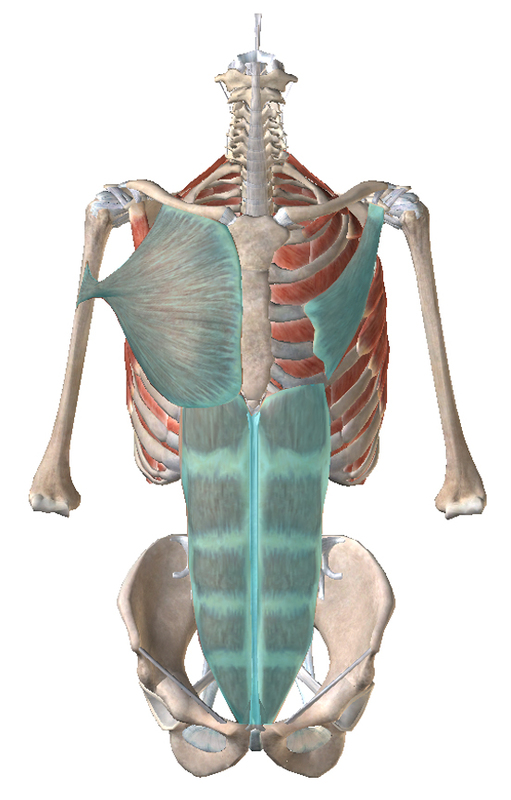 We can also learn how to release all the muscles of the waist, if these muscles are habitually contracted they will draw the ribs and the pelvis closer together, robbing you of more height (and your svelte wasitline!). A long, free spine and a soft waist will allow you to stand taller and straighter effortlessly. Win win. Author cgmd1Posted on August 22, 2015 Tags clinical somatics, Dublin, hanna somatics, low back pain, Movement, Somatic Education, Somatics1 Comment on Grow Taller with Somatics? 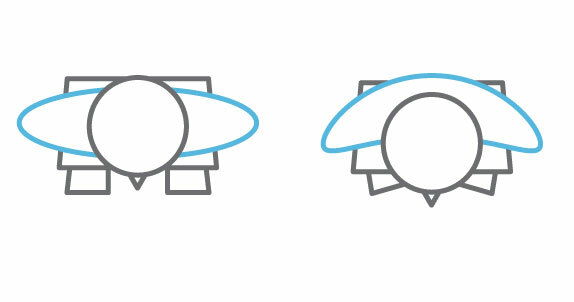 What is the Green Light Reflex and why must we be able to recognize it?? The Green Light Reflex is an automatic brain reflex that is activated every time we are called to action, .ie; when our phone rings, when someone calls our name, when we have a deadline looming, when we notice a new email in our inbox etc. 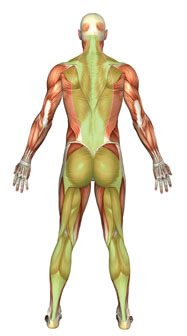 The job of Green Light Reflex is to contract all the major muscles of the back of our body so as to enable us to move forwards (see image below). 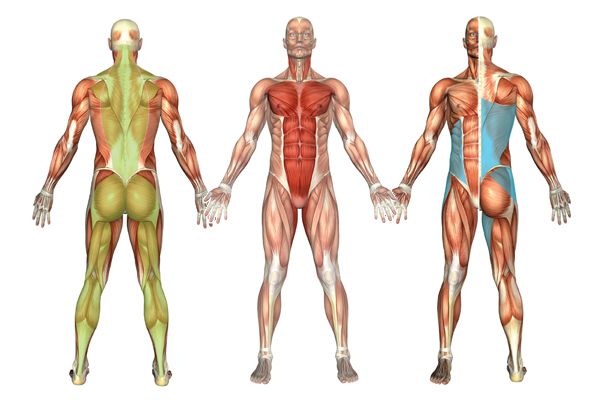 When triggered the muscles of the back extend the spine, the shoulders are pulled back, the lower back is pulled into an arch, the head is pulled back somewhat, the glutes, hamstrings and calves tighten, straightening the legs and rotating the legs outward. It is a very positive reflex, it is this reflex which enabled us to learn how to roll, crawl, walk and run. However, if it is activated too frequently, or too much, it can become habituated. What does this mean? Well, the brain gets very good at what it does repeatedly, repetition of actions is the method by which the brain LEARNS. So if a reflex is activated REPEATEDLY the brain LEARNS to be ready to perform that action (activating all the muscles of the back of the body) at all times. The brain will then hold those muscles at a low level of contraction ALL THE TIME. At this point it becomes an involuntary action, in that you are no longer aware that you are doing it. What you will be aware of though is the result of the habitual contraction namely, fatigue and pain in your lower back and hips or any combination thereof. Habituated Green Light Reflex can lead to back pain, herniated discs, sciatica, hip pain and knee pain. You will also notice that you cannot bend forward easily any more as in order to bend forward your back muscles would need to relax and lengthen, but as you have habituated contraction of all the muscles of the back of your body, you cannot do that. So now you have lost voluntary control of the muscles of your back. In Somatic Education we would say you have developed Sensory Motor Amnesia (SMA) in relation to the Green Light Reflex. You can activate the reflex still, in fact you are really good at that, but you have forgotten how to turn it off. 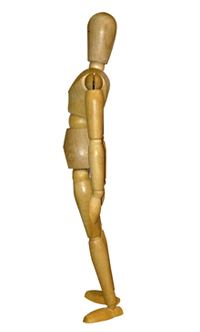 The wooden mannequinn below approximates the posture of Green Light Reflex. If you’re past 30 years of age, you put it down to aging. But let’s be clear, habituation of the Green Light Reflex has nothing to do with aging and everything to do with how you respond to the many different stresses you experience in your life. It is a neurological event that results in a FUNCTIONAL problem. If you end the neurological (brain) event, you can solve the functional muscle problem. The Green Light Reflex is an automatic brain reflex. Green Light Reflex helps us to move forward by contracting the muscles of the back of our bodies. It is activated many times during the day. If we activate it too much without turning it off, we forget HOW to turn it off. When this happens we develop back pain, stiffness, and restricted movement. 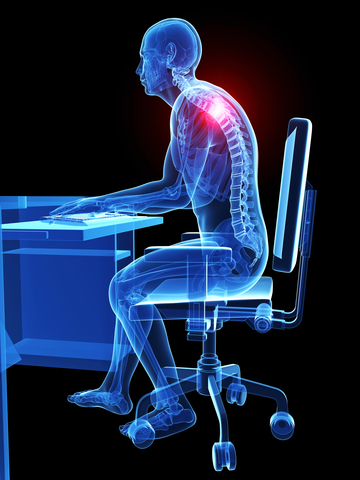 Habituated Green Light Reflex can cause herniated discs, back pain, neck pain, sciatica and knee pain among others. Author cgmd1Posted on July 13, 2015 Tags back pain, herniated discs, hip pain, low back pain, neck pain, Somatics, stress, stress reflex, Sub cortical reflex3 Comments on Green Light means Go!